LP version, gatefold sleeve. Wan Chai Records is a Hong Kong-based label, specialized in rare Asian records and quality reissues. For their third release, after a few years of hard digging and historical researches, they went deeper with Hong Kong Score, an introspection into the music of the Chinese cinema industry with a selection of tracks from Hong-Kong, Singapore, and Taiwan, specially produced for movies and illustrations. The result is a compilation of 12 totally unknown gems sung mostly in Mandarin and Cantonese, from real deep instrumentals, hip-hop breaks, Ethio-style crazy drums, to heavy bass in the Alain Goraguer style. This is an amazing introduction to '60s and '70s Chinese music, an inspiration for beat-makers, and a must-have for novices or Asian vintage music lovers. Features: Yao Su Rong, Lena Lim, Li Tai-Hsiang, Teresa Teng, The Apollo, Yuan Ye San Chong Chang, Soul Dance Music, Li Tai-Hsiang, You Ya, New Wave Orchestra, Chang Siao Ying, and Xian Jin Ren and Zeng Zhong Ying. Wan Chai Records is a Hong Kong based label, specializing in rare Asian records and quality reissues. 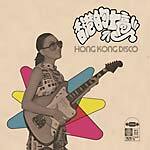 After a few years of hard diggin' in Asia, meeting the artists and many local figures of the '60s, '70s, and '80s scene in Hong Kong, Singapore, and Taiwan, the label wanted to share their best finds and put them together with the best productions ever made in soul-jazz, disco, funk, modern-soul, and AOR. The result is a selection of ten totally unknown gems sung mostly in English and Cantonese with amazing covers of classics like "Lovin' You", "Make Me Believe In You", or "Hurt So Bad". Features Ajl Band, The Reflection, Charing Carpio, Deanie, Tracy, Julie Sue, Oscar & His Orchestra, The New Topnotes, Louie Castro, and Rita Kwong.